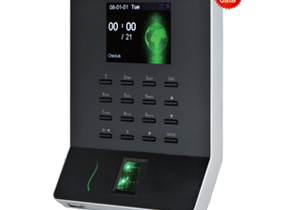 If you feel most of the productive time of your HR’s are being wasted in keeping a track of your employees in and out time, then our WIFI time attendance system is here for your assistance. The latest and innovative time attendance system keeps you updated on your employees’ whereabouts alongside reducing payroll errors. You can also keep a track of which employee is entering late and who is taking frequent leaves from anywhere with your device. A lot of organizations are using our quality time attendance products to increase their employees’ productivity and reduce payroll errors to zero. If you want to change the way you keep attendance records of your employees’ then switch to our revolutionary product today. 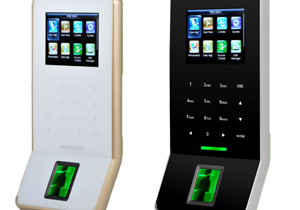 You can contact us to know more about our cloud attendance system in Noida. One of the major advantages of installing this system into your premises is the elimination of the concept of buddy-punching. This will not only eliminate this unethical practice but will give you 100% precise information regarding each of your employees. You can get in touch with our team to know about the different models in detail. 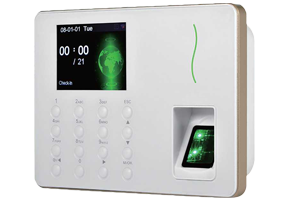 If you liked the product, then we can also supply the WIFI time attendance system in Noida, Ghaziabad, and other areas lying in close proximity as well. We are also a leading supplier of WiFi attendance system in Ahmedabad, Jaipur, and other related areas that fall in close proximity so you can always approach us for placing an order or to know more about our wide range of cost-effective security solutions.